As Robert Kirkman's Walking Dead comic book shambles towards its 100th issue, DST is immortalizing the book's indelible characters with a line of highly detailed Minimates minifigures. 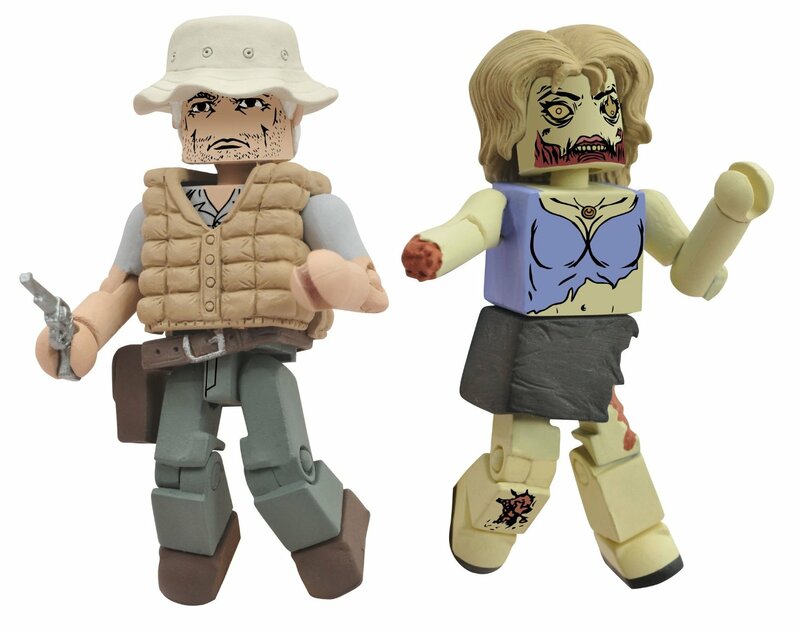 The first assortment of two-packs features a mix of humans and zombies, and includes Rick Grimes with Roamer Zombie, a Herd Zombie 2-pack, Dale with Roamer Zombie, and a short-packed Dale in Winter Coat with Roamer Zombie. Each Minimate stands 2" tall with 14 points of articulation and a variety of removable and interchangeable parts and accessories.